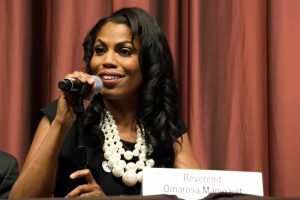 Omarosa Manigault speaks at the National Action Network 25th Annual Convention. In an exclusive interview with the Today show, former Apprentice star-turned political aide Omarosa Manigault-Newman claimed that the White House is rife with unscrupulous activity. On Monday, Manigault-Newman released an audio recording of President Trump expressing shock and disappointment upon learning that she had been terminated. The tape, which was allegedly produced one day after she was fired in December 2017, was recorded without the president’s knowledge. 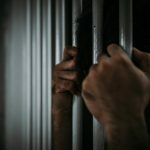 False imprisonment is when a person is detained without any legal authority. Manigault-Newman claimed that she was falsely imprisoned when four men led her into the White House’s Situation Room and locked the door. During this meeting, in which Manigault-Newman was fired, she was allegedly denied legal counsel and was forced to stay after she had requested to leave. “Omarosa? Omarosa, what’s going on? I just saw on the news that you’re thinking about leaving? What happened?” Trump is heard saying on the tape. “General Kelly came to me and said that you guys wanted me to leave,” Manigault-Newman answered. “Nobody even told me about it,” Trump replied. During her interview with the Today show, Manigault-Newman questioned the sincerity of Trump’s dismay. She also questioned whether President Trump is truly in charge of the country.